The slab from which this tasty Bruneau Jasper cab was cut was very thick, so I decided to play with it and put a dome on the back side, also. The orb on front disappeared inside the cabochon and the back was completely blank! Hard to get the effect with photos, but this cab looks just like a piece of English Toffee! But don't eat it! Dimensions: 25mm x 19mm x 8.5mm. Weight: 29.85 carats. 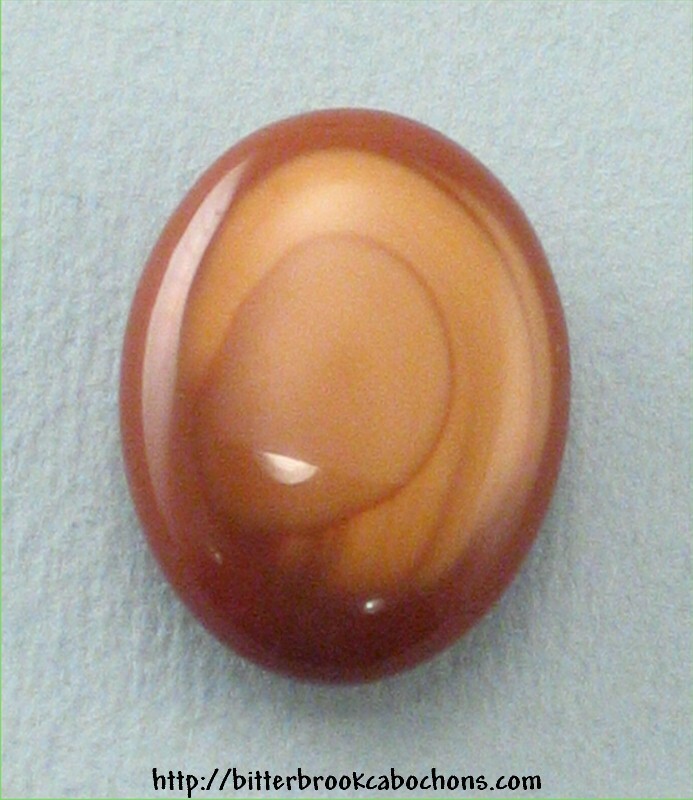 This cabochon is in my personal collection; it is not available for sale. Click here to see more views of this cabochon.